Welp I am still working on this wide middle bit; it's got a lot of confetti and partial stitches in it, but I'm pleased with the results so far. 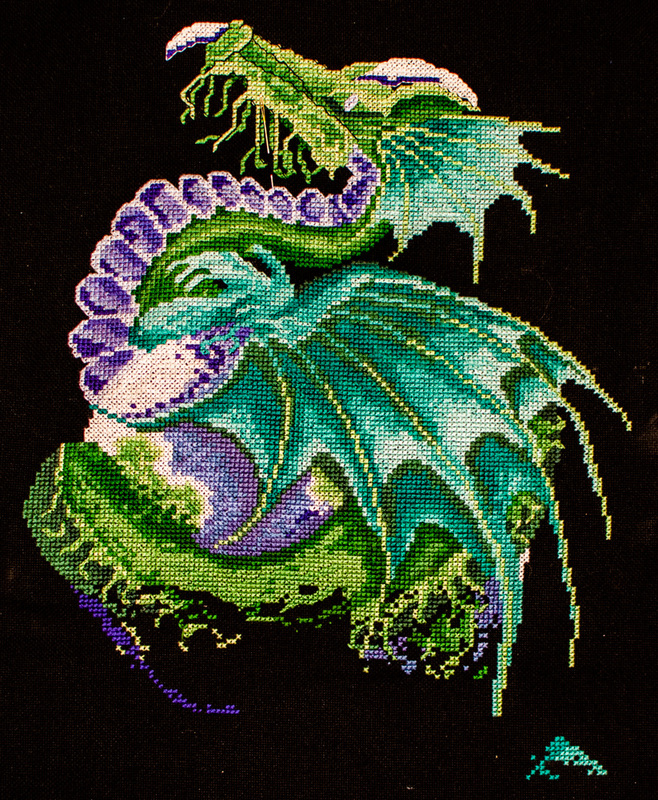 The tendrils on the dragon's head are also in the process of being backstitched - slow going there too. 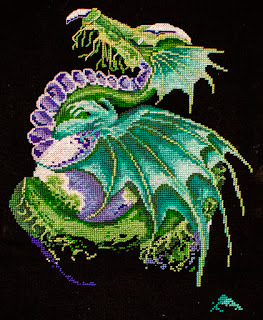 I think this may be my daily project for the rest of the month so I can feel like I'm truly making progress.